A native of Albany, New York, Timothy Cobb began playing the bass at the age of seven, studying with his father David Cobb, and was playing professionally by thirteen. He attended the Curtis Institute of Music, where he was awarded the sole position available for bass in the year of his application to study with Roger Scott. In 1982 and 1983, Cobb was a member of the New York String Orchestra Seminar under Alexander Schneider. While at Curtis, Cobb substituted regularly in the Philadelphia Orchestra and in the fall of his senior year became a member of the Chicago Symphony Orchestra under Sir Georg Solti. Appointed associate principal bass of the Metropolitan Opera Orchestra in 1986, Cobb was granted a leave of absence by Maestro Solti to perform with the Metropolitan Opera, where he elected to stay. He was appointed principal bass several years later after the departure of Laurence Glazener in 2004. As a member of the Met Orchestra, he has enjoyed touring with the entire company and with the orchestra on the symphonic stage, led by Maestro James Levine. He has also enjoyed frequent collaborations with Maestro Levine in the chamber setting performing works such as Schubert’s “Trout” Quintet and Stravinsky’s L’Histoire du soldat, to name but two. Maestro Levine has created a series at Weill Hall in New York to showcase the chamber abilities within his orchestra, a series where Cobb has made regular appearances. Cobb can be heard on all Met recordings since 1985. Cobb has enjoyed invitations to perform in the World Orchestra for Peace created by Maestro Solti, (subsequently led by Maestro Valery Gergiev), and in Japan as principal bass of the new “super orchestra,” a gathering of musicians from major orchestras around the world. 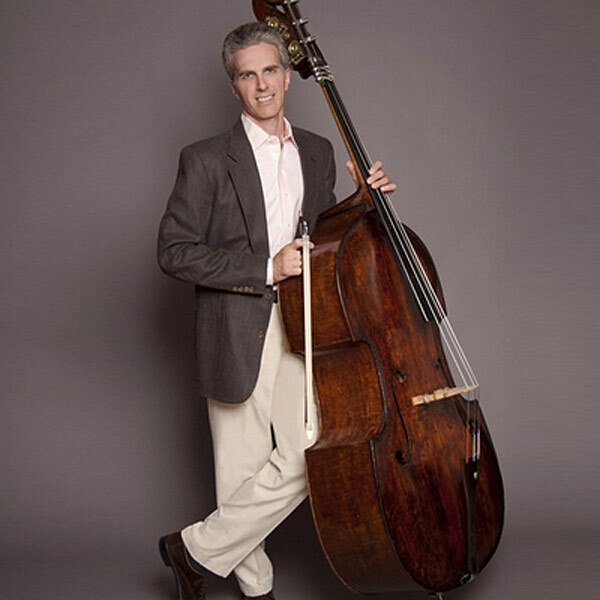 He was recently appointed principal bass of the Mostly Mozart Festival Orchestra led by Maestro Gerard Schwarz (currently by Louis Langree), and is solo bassist for the Harmonie Ensemble, a New York–based woodwind ensemble, as well as the solo bassist for the St. Barth’s International Music Festival, St. Barthelemy, French West Indies, where he performs for a week in January each year. He also recently appeared in Ainay-le-Vieil, France, performing with the American Chamber Ensemble, and has also performed at Bargemusic, the Bridgehampton Festival, Caramoor, the Boston Chamber Music Society, the Lyric Chamber Music Society, the New Jersey Chamber Music Society, Mostly Mozart, La Musica Festival, the Sarasota Music Festival, the Great Performers at Lincoln Center series, and the Chamber Music Society of Lincoln Center. For three years, Cobb was the solo bassist for the Marlboro Music Festival and has toured with Musicians from Marlboro. Cobb has also collaborated with the Emerson Quartet, the Guarneri Quartet, the Moscow and St. Lawrence Quartets, and the Eroica Trio. Cobb has recorded for Deutsche Grammophon, Decca, Sony, and Music & Arts labels and is active as a studio musician in New York, recording numerous soundtracks for movies, television, songs, and advertisements featured nationally and internationally. Each year in December, he coaches the basses of the New York String Orchestra Seminar at Carnegie Hall. In June, Cobb joins the Sarasota Music Festival to perform as well as to coach chamber music featuring the bass. Cobb was recently invited to give a master class and recital at the Tokyo University of the Arts in Japan, San Francisco Conservatory of Music, and Northwestern University’s School of Music. Cobb is part of the faculty of YOA Orchestra of the Americas. Cobb lives in New York City with his wife, son and daughter.